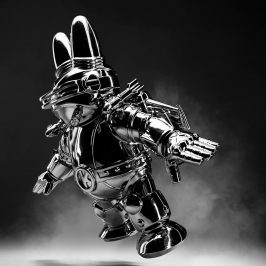 In light of tomorrows release of the 8-inch Clairvoyant Dunny in Silver by J*RYU we would like to spend this Throwback to highlight how this isn’t the first Dunny that has blown us away by J*RYU. 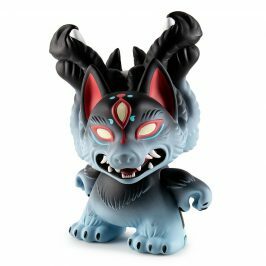 Recently releasing the well sought after Dunny Mini Series as well, are jaws continue to drop with every release that we work on with J*RYU. 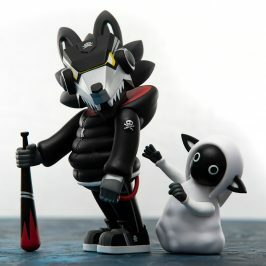 Here to further discuss the previous release of the Kidrobot x J*RYU It’s a F.A.D. Dunny is of course the guy who was there when it happened and probably wrote a fabulous blog post on it…. is Chris Holt aka The Toy Viking. Take it away Chris…. What do you think F.A.D. 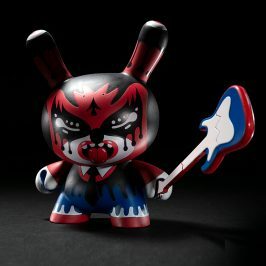 stands for in relation to the name of this Dunny? Could it be Fast and Delicious, which is how I prefer all of my meals? How about Fear and Desolation, which sounds like a not so great metal album from that dude that’s always begging you to come to his gigs. No thanks, Chad, I’m taking my ferrets to the spa that day. Kidrobot told me what it means actually, and it would perfectly describe the level of detail in this stunning piece from J*Ryu. 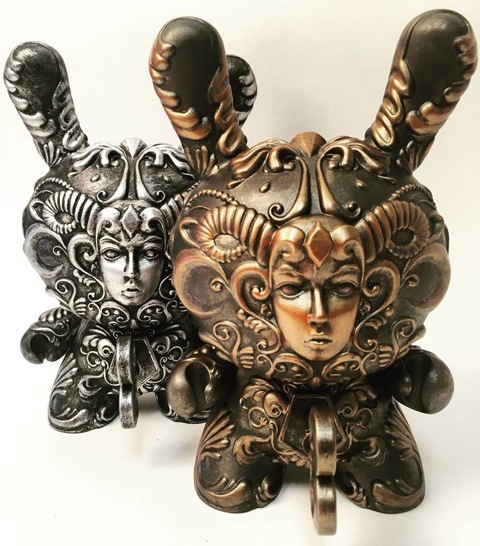 Part Pandora’s box, part rococo dream boat, this Dunny is beautifully embellished for days, right down to the removable key in its chest. Will unlocking it allow chaos to spill into the world, or will it make you obsessively redecorate your home to mimic that of a French aristocrat with a penchant for the dark side? Either way sounds like a fun day off to me. 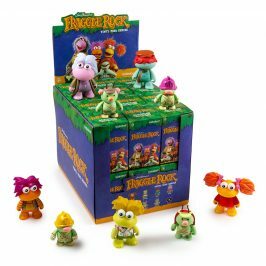 Whether you get the bronze edition, or stumble onto the rare pewter chase version, this will be the piece that everyone will beg to touch when they visit your home. Slapping their filthy mitts away is the only proper response anyone should expect. 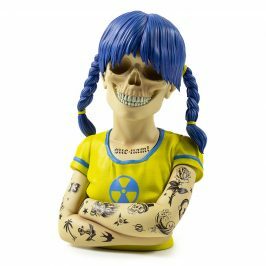 Besides, they can get their own at www.kidrobot.com.